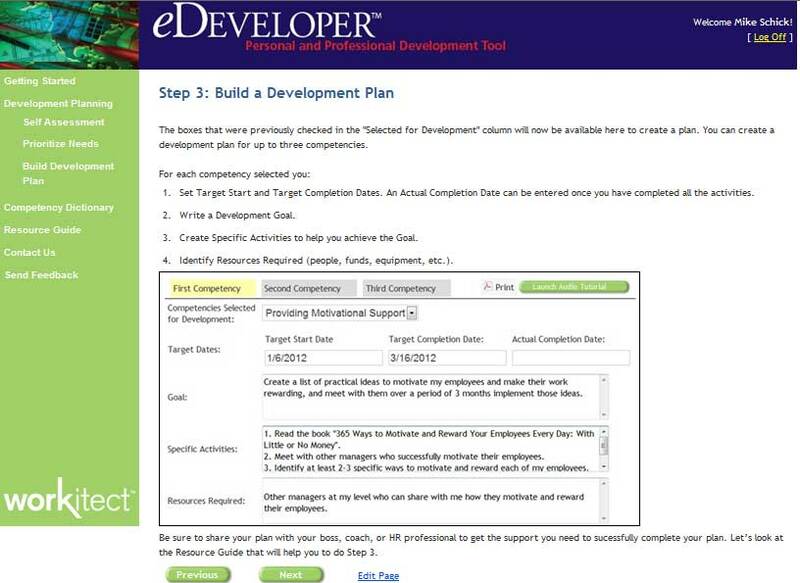 Web-based, on-line version of the Competency Development Guide, containing comprehensive employee development and coaching tools with direct links to developmental resources. It provides an efficient and cost-effective way for people to develop and acquire new competencies needed to achieve personal or career goals. At any point, the user can create an electronic file (PDF) of their data that can be printed or saved. 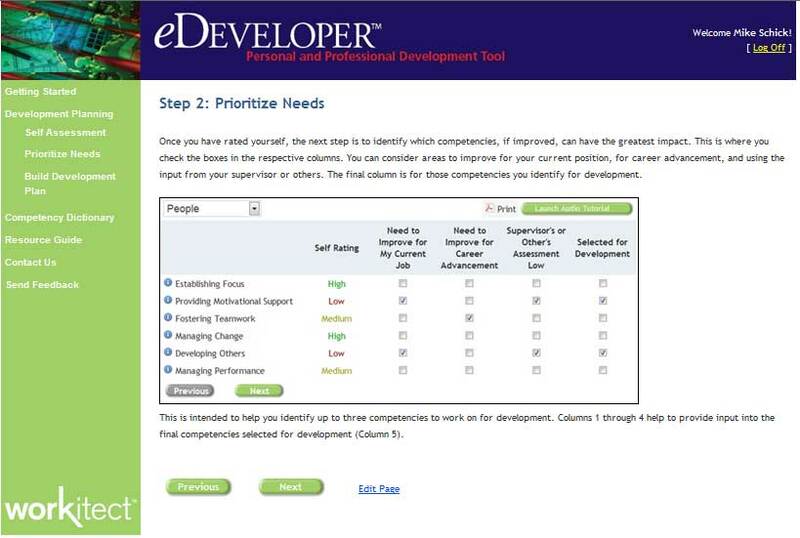 Drawing on the content of the Competency Development Guide (aka Resource Guides for Developing Competencies), the eDeveloper™ contains updated material and additional resources for developing 35 competencies. For each competency, the following information (unique to each competency) is provided. A practical framework for performance management and career development. How competencies are acquired and how people can motivate themselves and others for professional development. Nine exercises and forms (e.g. 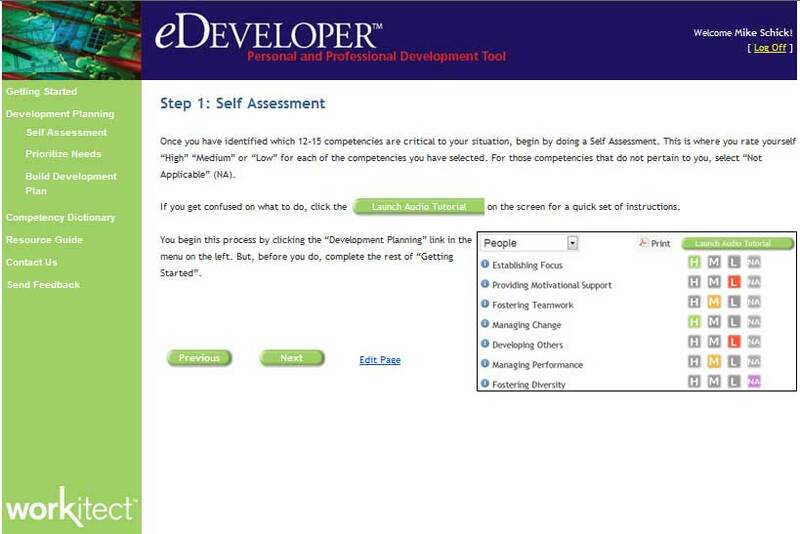 the Competency Selector) to help people identify specific competencies to target for development. This includes career planning exercises to help people think more broadly about what they want to do with their life and career. How to obtain the involvement and support of a supervisor or coach in a development planning process. Several forms can be emailed directly to a supervisor to obtain the supervisor’s input. Tips, tools and advice for coaches and supervisors are also provided.